The real pleasure of jumping into this mystery is the manner in which Richard Houston writes. Think Garrison Keillor’s `A Prairie Home Companion’, a dab of Mark Twain, and a dollop of John Grisham – marinate out in nature, and out comes Houston’s style. Not bad ingredients for an author on the rise. 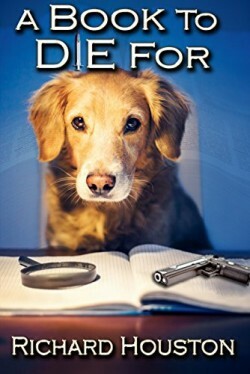 Jake Martin is not your ordinary sleuth. He’s an ordinary guy with an extraordinary dog. This time the story takes place in the foothills of Denver. Jake is accused of manslaughter and he has to prove the accident was really murder. Along the way he encounters a poaching ring and falls in love with a beautiful game warden. The characters are memorable and the plot is multi-layered. It keeps the reader guessing who dun-it until the very end.